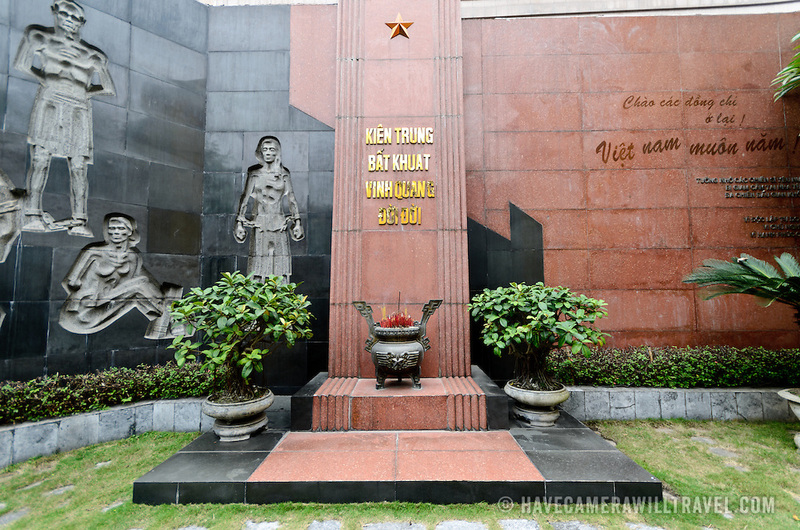 A memorial at Hoa Lo Prison for those who died and were incarcerated ni the prison under French colonial rule of Indochina. Hoa Lo Prison, also known sarcastically as the Hanoi Hilton during the Vietnam War, was originally a French colonial prison for political prisoners and then a North Vietnamese prison for prisoners of war. It is especially famous for being the jail used for American pilots shot down during the Vietnam War.